So the entire western world seems to be in the midst of iPad mania, well almost. There is no denying that the new Tablet computer/ebook reader is going to change a lot about what we think about technology. Now, I love Apple’s tech. I’m typing this post right now on my Macbook and my iPhone is sitting next to me. But I won’t be one of the hoards of early adopters mostly because I don’t think I’ll truly get the most out of it until more sites transition their video to HTML 5 (an open standard that’s coming in the next version of HTML and won’t need plug-ins like Flash, Windows Media, or DivX). Already, CBS, ABC, Reuters, CNN, the New York Times, and even the White House have all announced iPad friendly versions of their sites built with HTML 5, and no doubt more are in the pipeline. For me though, once the CBC and the Globe and Mail make the switch, and there is better support for streaming primetime in Canada (like Hulu in the States), I might shell out the cash. But let’s get back to the point of this post. I’m an avid reader, and I also am an avid user of the Vancouver Public Library system. Book publishers don’t like readers like me. I don’t really care for the latest Dan Brown novel, and I also don’t care to be the first to read the new releases. I can wait, and because the VPL does such a great job stocking new books in a lot of different genres, the wait isn’t usually that long. 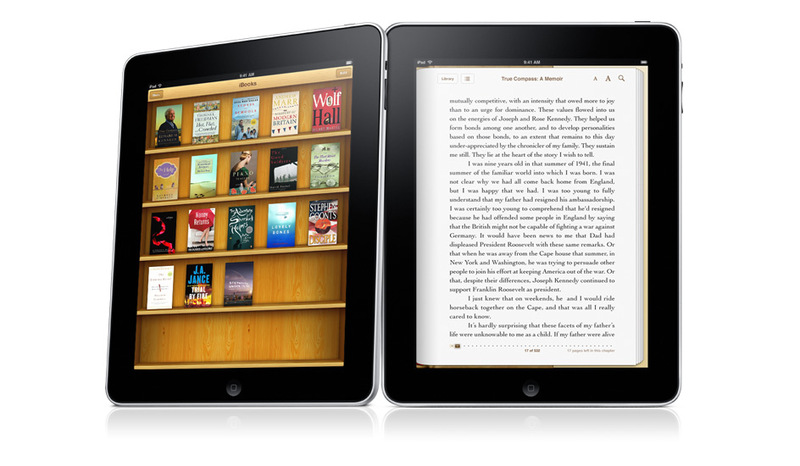 So what happens to readers like me in the world of Kindle and iPad? As a young person who is very much tech inclined, I can see the appeal of reading from these devices but wonder if that appeal means the Library as we know it is dead? Let’s look ahead 25 years when more and more books are digital. And not just novels, but magazines, textbooks, and manuals. It just makes sense. Imagine being able to get your Biology textbook on the iPad and seeing a video of how DNA works as opposed to just reading about it? But now also imagine being a poor student and not being able to buy used text books anymore? Or snap back to a person like me and not being able to borrow a book from my library any more? That’s not a world I want to live in. Content publishers are no doubt salivating over a future where used text books don’t exist, or people like me can’t read for free. But for me, the ability to do just these kinds of things is a basic tenant of human knowledge and learning. Writing and reading books has been key to the explosion of knowledge and advancement the human race has seen in the past 1000 years. And the more accessible this knowledge got over the course of those 1000 years, the faster the human race plowed forward. Copyright laws need to take these challenges into account. Local library branches need to be able to distribute these ebooks much the same way they distribute physical books today. And people who own ebooks need to be able to sell them to others. What would this look like for Libraries? One idea could be to charge them special licensing fees per digital copy that would allow them to share these books. In much the same way video stores don’t just go to Futureshop, buy a DVD, and start renting it out to people (they pay way more money for that privilege), libraries would pay extra for special copies of ‘rentable’ books. Another way could be for them to not pay any extra, but be limited as to how many copies they could buy, and make sure each copy can only be rented by one person at a time. Libraries could be further restricted to make sure people borrowing are local and paying taxes into the Library system to further reduce the likelihood of people abusing the system. What would it look like for used books? Files could be encoded with a user ID (like an online account, or email address from the original sale store – iTunes for example). Once someone decides to sell their book, it could be stripped of the original ID and re-encoded with the new one. Finally, I should point out that the concept of renting digital goods is not a new thing. You can visit the iTunes store and rent a new release with one click and it works quite well. If implemented for the renting of books, it could also streamline things for libraries. Ebooks don’t take up any shelf space, don’t need to be physically transported from branch to branch for pick-up by patrons, and users won’t need to worry about not having time to pick up a held book before it expires or getting dinged for being late to return it (or losing it for that matter). At the end of the day, this is a cultural and human knowledge issue, and government needs to move today to keep up with how content (and the way it’s consumed) is evolving. Failing to do so puts our collective future at risk.